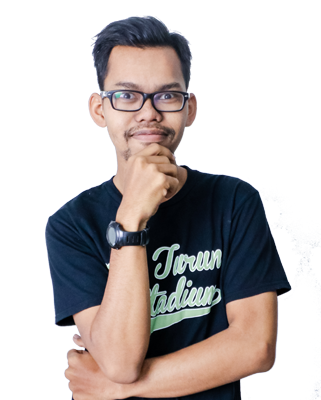 TheJohnFriday: Tido 5 Jam Je! Hi guys! How are you guys doing? It's 0309 hours already, and I think you guys should be sleeping right now. Haha. Last weekend was very hectic and tiring for me. With the CFSIIUM annual event's SMAC14, and also my brother's trip to KL for his scholarship interview. Alhamdulillah that everything went well. 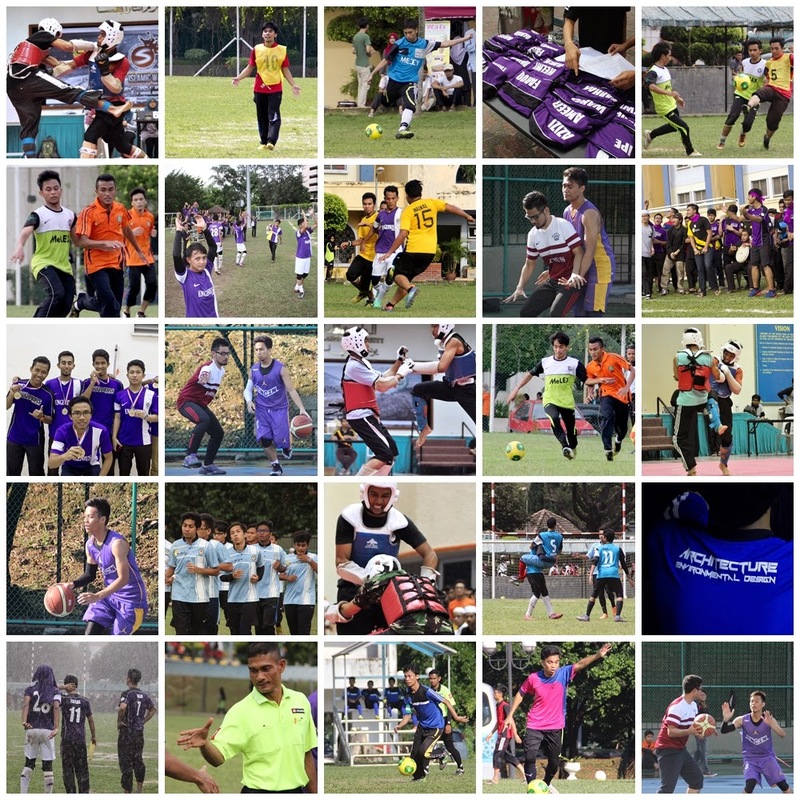 As for second week of Sports & Martial Arts 2014 event organized by CFSIIUM, I decided to borrow my friend's DSLR. Last year SMAC was so great cause I still had my DSLR with me and I don't have to borrow it from anyone. But this year, I had sold my DSLR, so I had to borrow it. It's not that I'm the official photographer for the program. I am not even related to any societies in CFSIIUM this semester. But I just can't watch and cheers for the team. I had to shoot photos. It's in me. Haha. Each time I saw students with their DSLR, I be like ughh why did I sell it in the first place. Hahaha. I also had rented a tele lens to shoot the games. Tamron 18-200mm. It's quite good even though it's very useless in low-light condition. Just do the best. For this second week of SMAC, the event started after the Jumuah prayer, and I already prepared myself with the camera and all my equipments. The football match for our team, Engenius scheduled to begin at 1630 hours, but I was there since 1430 hours because I wanna shoot every team that play throughout the event. The DSLR that I borrow was a Canon which I don't really know how to handle it quickly. I had to learned everything - aperture, shutter, focus and know all the button in very short time. It's really different from Nikon button. The weather that evening was great. The lighting really helping to capture every moment. Ni antara hasil shooting aku. Tak hensem mana pon. At night, I shot the free fight matches. This time I'm using another camera, also borrowed from another friend. Nikon D90 with 50mm lens. Really enjoyed the night eventhough at almost all time I witnessed the matches from the viewfinder. For every time I press the shutter release, 3 - 4 photos taken. I tried to shoot in different setting, RAW and JPEG. After about two hours in the hall for free fight, I went to the field for my team match - Engenius v Israk. Trying my best to capture the moment, but it's really hard as I can't overcome the darkness of surround using my limited tools. With rain started to fell from sky, it's become harder to operate the camera well. Anyways, my team win it! Hoho ;) I slept around 0400 hours on that night, processing the photos captured. Next morning, woke up around 0700 hours and get ready for the quarter-final football matches. I don't know how but I don't feel tired and sleepy that morning despite I just slept for about 3 hours. Maybe the determination and spirit to shoot pictures drive me that way. HAHA. I don't even took a breakfast that morning cause I don't wanna miss anything. HAHA. That morning I managed to shot basketball and the quarter-final football matches. The supporters weren't full as the first game yesterday. Maybe they'll still in their dream. Haha. After that, around 1100, I took my brunch. Just alone. Then went to my room, transfer all the photos and ready for the evening games! 1430 hours, again, to the field! The sky now a bit dark, with cloud started to block the sunlight. Tetiba otak ni nak pikir in Malay la pulak. So hm, petang tu match semi-finals between Press against Barcom and Engenius against Econss. Matches berjalan lancar sampai la dalam jam 1700, hujan mula turun. Aku pun dari awal petang stay tepi padang now terpaksa bergerak mencari bumbung. Kalau aku je basah takpe, ni kamira lagi penting. So had to find cover! Huhu. But seriously shot masa hujan syok! Gambar dramatik je. Cun! Tapi jauh la sikit dari padang, and it's kinda hard to focus on target. Habis je game, aku pulak kena pergi ambik adik aku yang baru tiba kat Terminal Bas Putra dengan sepupu aku. Dengan hujan lebat gila, aku keluar lah. First time in my entire life in CFSIIUM aku keluar bawak payung! Haha. Dah lebat sangat terpaksa ah. Masa tu perh mata dah tercungap gak ar, letih woi! Kejap berpanas tengah padang, then tetiba sejuk cam haromm. Hahah. Dalam pukul 2000 sampai CFS balik. Settle hal dengan adik and sepupu then turun padang lagi! This time layan match final pulak - Engenius v Barcom! Serious kitorang tak jangka akan jumpa Barcom kat final. Masa before ni, duk plan taktikal macam mana nak main masa final if lawan IDEA or Econss or Medcy. Tapi last-last jumpa Barcom. Bapak power diorang ni! Malam tu pun aku kurang amik gambar, lack of lighting option! Gelap sangat padang. Hm. But congrats to Engenius! Menang 4-1 lawan Barcom! Dapat GOLD! Hoho ;) Habis match bola, sambung pulak match basketball final which also berpihak kepada Engenius! Another gold medal! Bangga dengan bebudak ni even takpaham pun game tu operate camne. Hahaha. Takcukup dengan tu, balik bilik sambung pulak dengan match Arsenal v Wigan for semi-final FA Cup. Gila. Dalam pukul 4 pulak baru tidor. Esok paginya, pukul 0600 dah terjaga. 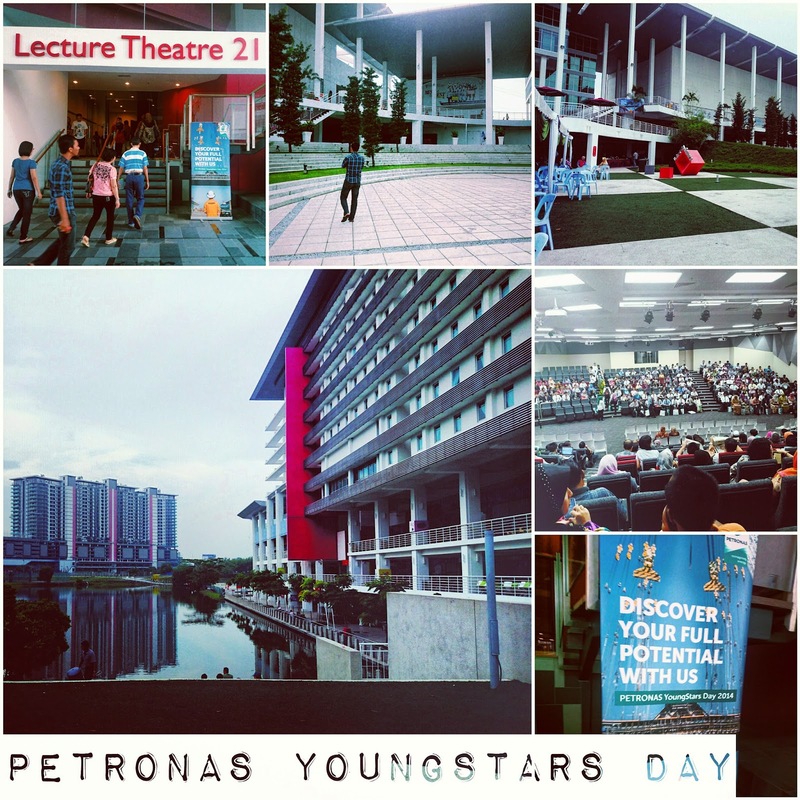 Nak kena hantar adik aku pegi program Petronas YoungStars Day kat Taylor's Lakeside Campus, Subang Jaya. For the first time aku guna myTeksi pagi tu. Haha. Sampai Taylor, adik aku pergi register, aku and sepupu pulak having free breakfast! Hoho. Boleh tahan la breakfast dia. Lepas makan kena pergi dengar briefing scholarship Petronas pulak. Masuk lecture theatre dia perghh! Mantop. Canggih woo! Dengan seat macam GSC punya seating, 4 projector and sound system yang awesome! Memang jakun gila. Haha. Sementara tunggu adik aku yang akan habis program jam 6 petang, kitorang balik CFSIIUM dulu, makan-makan. Then rehat jap. Tido! Around 1500 hours, kena pergi LRT Gombak pulak sebab nak jual tiket bas yang tersalah beli. Naik lah LRT dekat 40 minit menuju Gombak. Letih minda gak la. Then balik CFS balik. Sebab dah letih and duit dah banyak habis, aku suruh adik aku balik sendiri. Aku call teksi, dia naik je. Haha. Letih doh. Malam tu diorang kena balik Kelantan semula dah sebab esoknya adik aku ada interview dengan JPA pulak kat KB. So, malam pun aku call teksi je sebab takut taksempat aku sendiri nak balik CFS malam tu. Lepas settle semua dengan adik aku, aku siap siap untuk Closing Ceremony SMAC14 pulak. Ikutkan hati malas jugak nak pergi pasal tu program official. Aku kurang sikit program official ni. Leceh! Aha. Tapi last-last enjoy jugak. Congrats geng PRESS sebab menang overall and jugak to my team - ENGENIUS berjaya di tempat kedua. Terbaik ah korang! Malam tu balik usha-usha gambar sikit then tido mampos! Letih gila. Maka berakhirlah weekend yang hectic mectic aku. And so this post. Aha. Walaupun letih sikit, tapi best! Aku taktahu kenapa, tapi bila dapat bersatu dengan kamira ni, pergh!